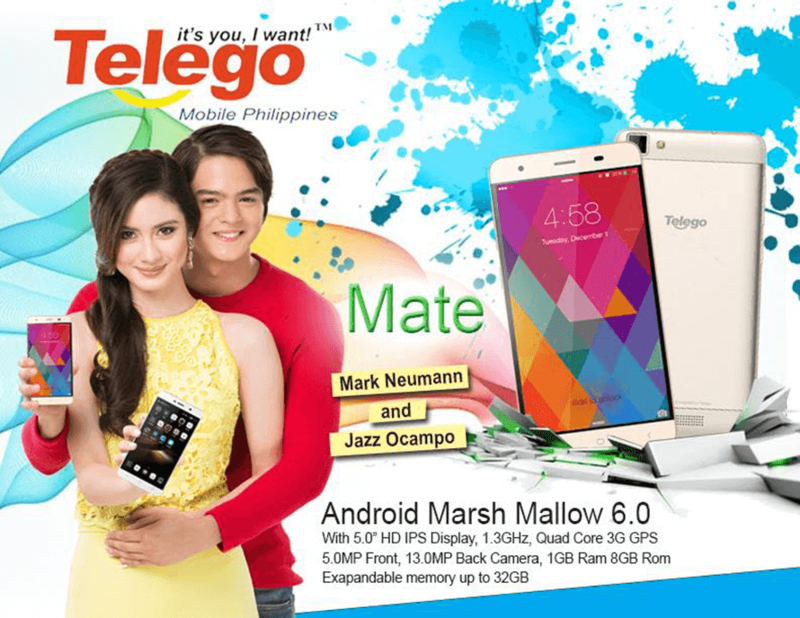 Telego Mate With Metal Frame And Marshmallow OS Now In The Philippines, Priced At 3399 Pesos! Home / mobile / news / telego / Telego Mate With Metal Frame And Marshmallow OS Now In The Philippines, Priced At 3399 Pesos! Telego joins the Marshmallow bandwagon. The company just announced via their Facebook page the Telego Mate, an Android 6.0 powered handset with good affordability. The Telego Mate boast a metal framed design with 5 inch HD screen at 294 ppi. It's equipped with a 1.3 GHz quad core processor, 1 GB RAM, 8 GB of expandable internal storage up to 32 GB, and 2,600 mAh of battery capacity. This handset also uses a 13 MP lens for casual snaps, 5 MP front facing cameras for selfies, dual SIM card slots, GPS, and 3G connectivity.